Jessie A. Glaeser is a Research Plant Pathologist and Team Leader of the U.S. Forest Service Center for Forest Mycology Research in Madison, WI. She received her PhD in Plant Pathology from Virginia Tech under the direction of Dr. R. Jay Stipes in the field of landscape tree diseases with research on the then controversial topic of Endothia/Cryphonectria taxonomy. She conducted her post-doctoral research on the taxonomy of downy mildews at the USDA-ARS facility at Fort Detrick, MD under the direction of Dr. Morris Bonde before joining the U.S. Forest Service in 1985. Her initial research at the Forest Products Laboratory in Madison, WI was on the physiology of brown rot wood decay fungi. 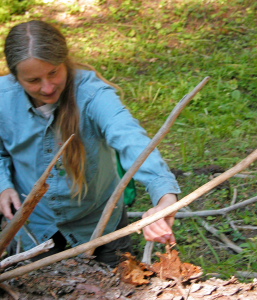 In 1997 she joined the Center for Forest Mycology Research under the eminent Dr. Harold H. Burdsall Jr, becoming Project Leader in 1998, transitioning into Team Leader after various reorganizations. Her research interests include white-nose syndrome of bats, ecology and taxonomy of polypore fungi, and identification of decay fungi in hazard tree analyses. Her contributions to MSA include service on the Program Committee (2001-04) and Endowment Committee (2012-14), organizing the program for the annual meeting in Asheville, North Carolina (2004) and auction in East Lansing, Michigan (2014). She also served as Secretary/Executive Vice President (2009-12) and an Associate Editor for Mycologia (2017-18). She received the MSA Fellow Award in 2015.